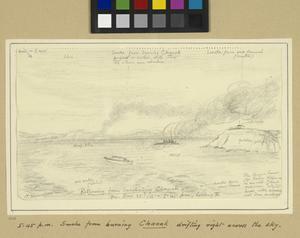 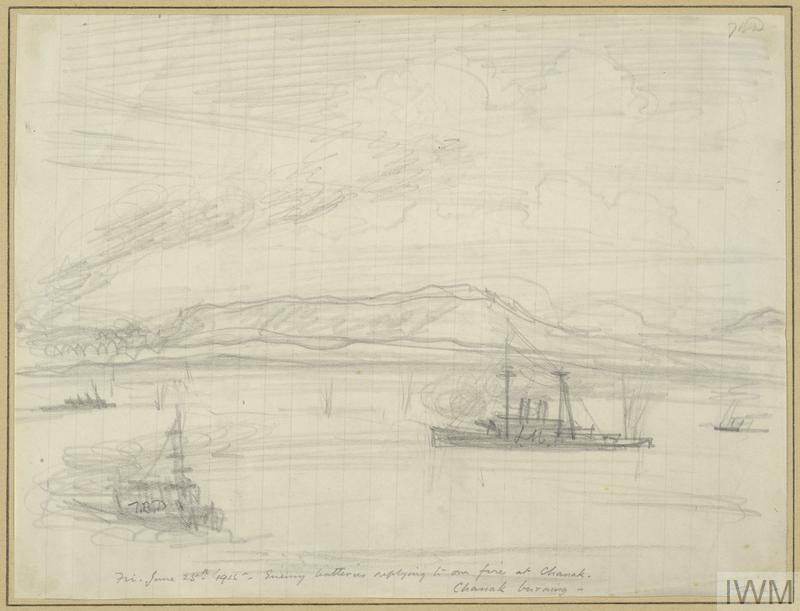 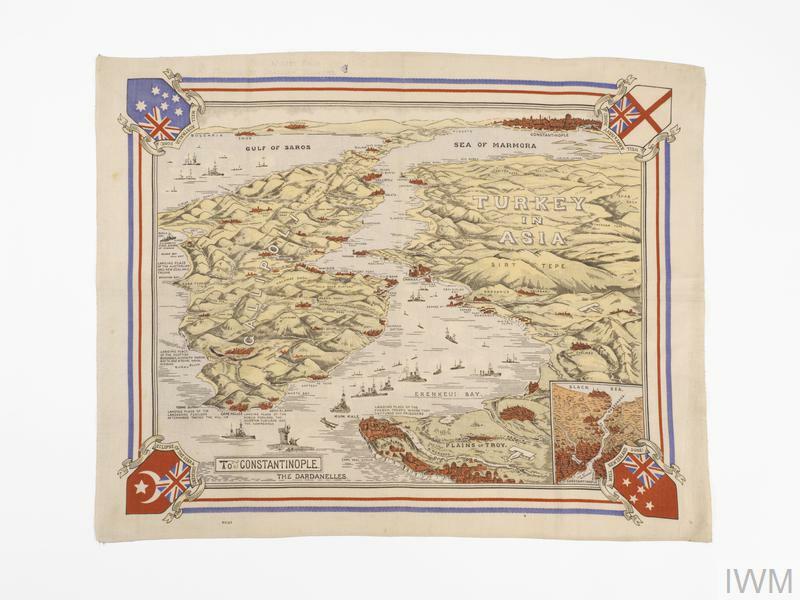 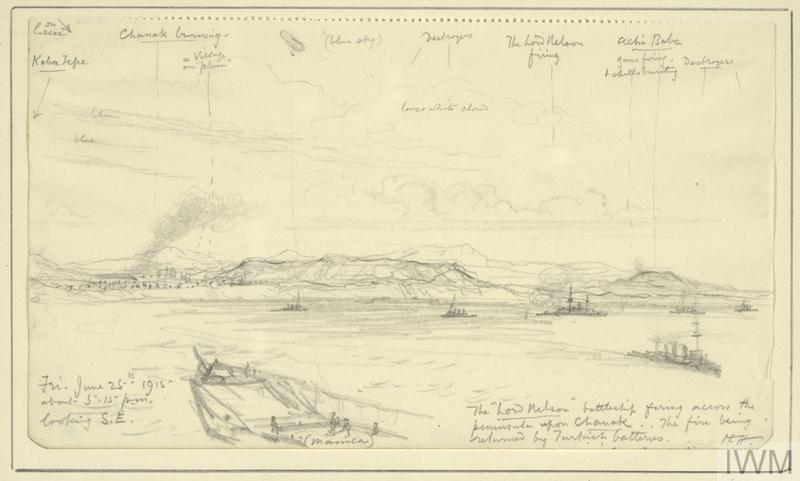 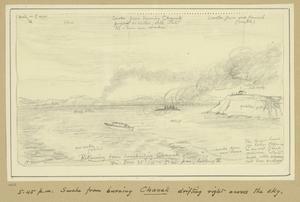 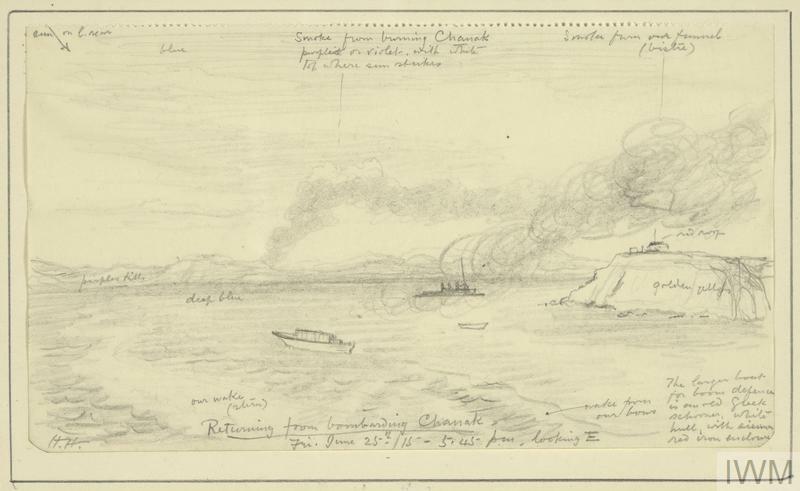 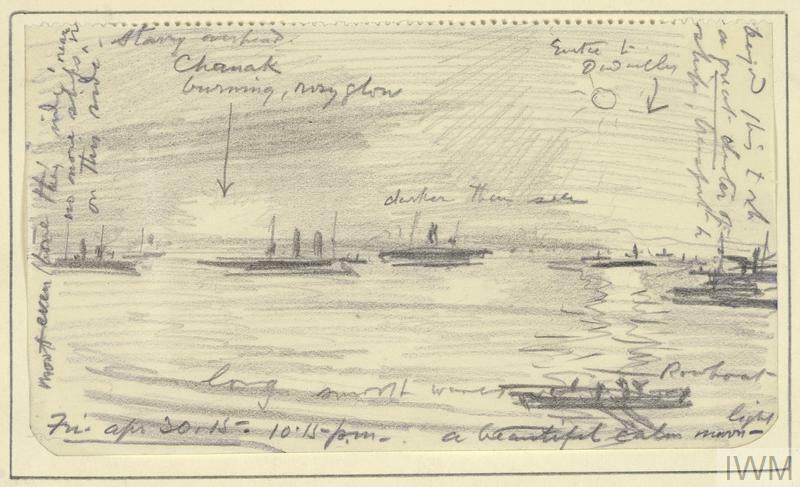 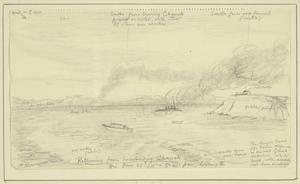 image: an annotated sketch showing a view from HMS Manica back towards the Gallipoli peninsular. In the immediate foreground is the wake of the ship in the water, with a cliff of the island of Imbros on the right. 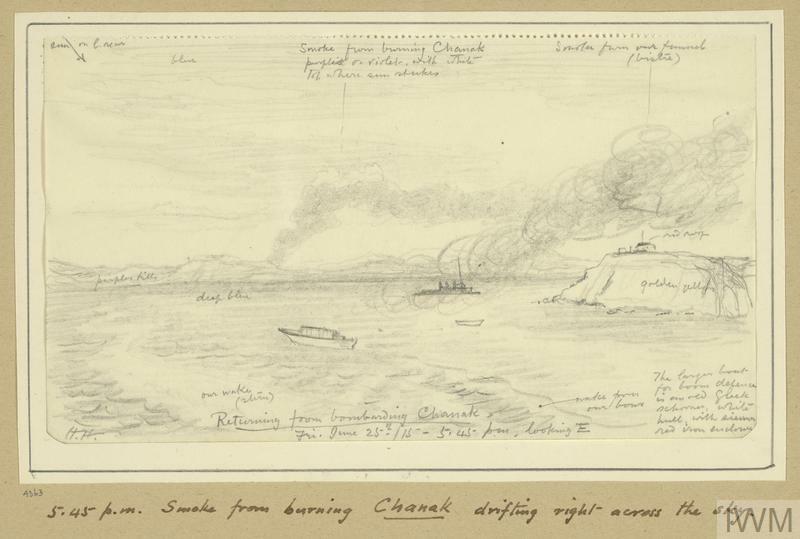 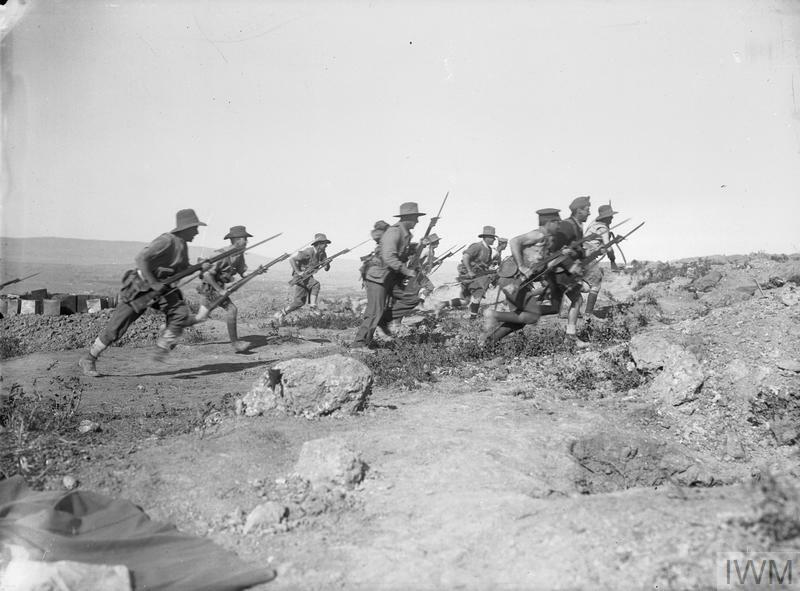 In the water is a small vessel and a Royal Navy destroyer, with a cloud of smoke emanating from Chanak on the Gallipoli coastline in the background.